I’ve had the pleasure of watching Grace grow up over the years; watching her become the lovely young lady she is today. My earliest memory of Grace (and her younger sister Megan) was from a hot summer morning many, many years ago. We were all sitting in a very warm church because the AC was not working. I think I had been fanning myself with my hand just to feel any semblance of a breeze on my warm face when here came this perfect paper fan folded from two little girls sitting down the row from me. At that time we were part of a larger church and I don’t even think they knew me but they saw my need and helped without any adult direction. Grace (and Megan) showed their generous hearts that one warm summer morning in making me such a simple gift of a much needed breeze! Since that day, my relationship with Grace has grown and I am proud to call her a sister in Christ and a friend. She has an amazingly beautiful singing voice that trumps almost any adult I have heard sing from a church pew. She has a strength in her relationship with Him that is inspiring; simply put, when life gets tough, she gets to reading her bible. She loves to sing, but also to dance as she has been taking ballet classes for many years now. And in her spare time, she helps tend to her grandma and grandpa as they are both in an older stage of life. It’s no surprise that she intends to go into the care giving side of the medical field after high school. Grace initially picked Ray Harral Nature Park in Broken Arrow, Oklahoma for her Senior Photoshoot Experience. 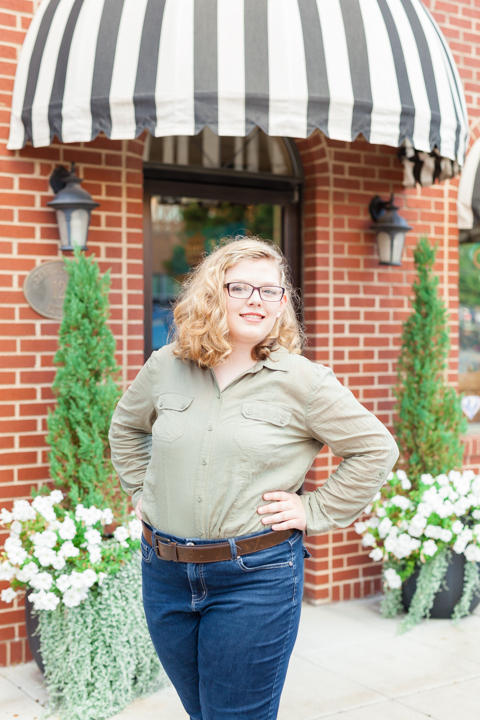 However, in knowing Grace I asked her “What about starting in downtown Broken Arrow along main street?” There were a few spots that I thought might be more her style; she’s a country girl from Oklahoma after all! I loved the photographs of her by the white wall. My absolute favorite are the series of photos where she is standing in front of the Oklahoma mural!!!! I stood in the middle of the street for them, literally risking my life to capture her. (Worth it!) 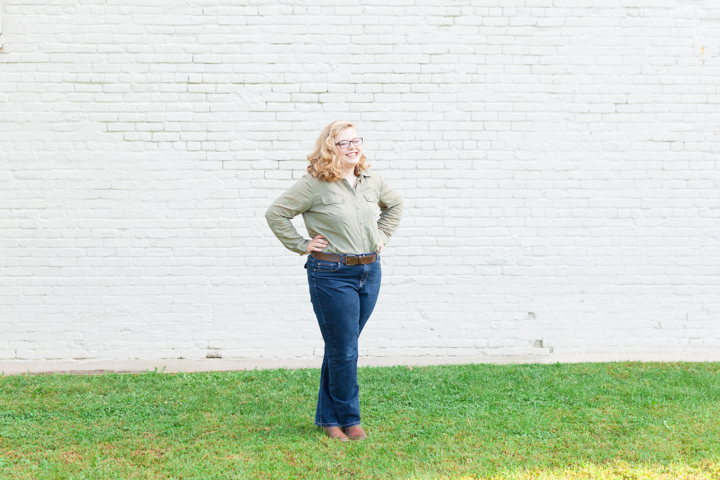 She’s holding her grandpa’s cowboy hat and rocking a serious pair of cowgirl boots throughout her senior photoshoot. We did end her Senior Photoshoot Experience at Ray Harral Nature Park, so we got a little of the natural landscape as well. If you're interested in scheduling a Senior Photoshoot Experience, skip the contact form and go directly to my Senior Experience Page to start planning your photoshoot! Filling out the questionnaire will provide the details we need to get the ball rolling right away! Click here to look at another amazing senior blog post of Jenks Senior Hailey who is on my 2018-2019 model team! And finally, you don’t want to miss Bishop Kelley Senior Hannah! Her glowy soccer pictures are amazing <insert singing voice here.